Betty J Jarvey, age 88 of L’Anse, MI passed away on Friday, November 9, 2018 at Baraga County Memorial Hospital. She was born March 2, 1930 in Tacoma, Washington daughter of Marius “Chick” and Ethelyne (Mason) Long. Betty grew up in Portland, OR and moved to L’Anse at age 16. She graduated from L’Anse High School in 1948. Betty married Norman “Bud” Jarvey on November 20, 1948 at Sacred Heart of Jesus Church in L’Anse. Betty worked as a janitor for the Commercial National Bank for years along with cleaning people’s homes and taking in laundry. 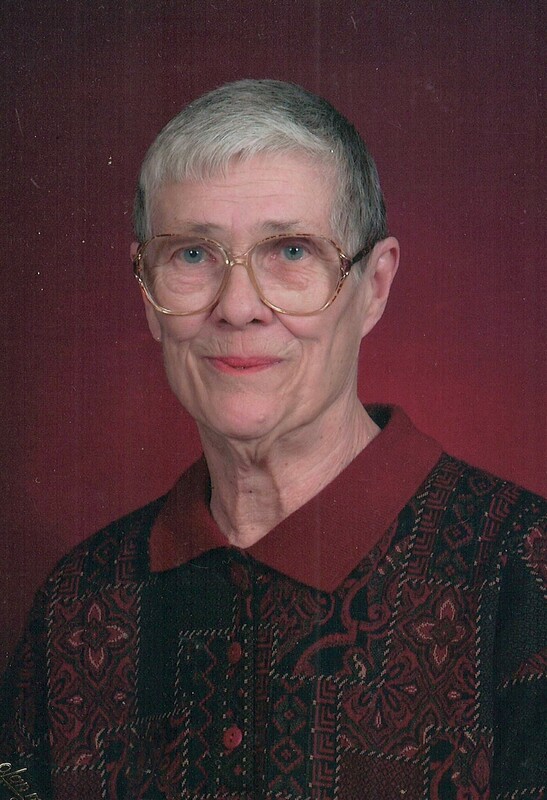 She enjoyed cooking, baking, gardening, canning and preserving, cross word puzzles, was an avid reader, and loved spending time with her family. Betty is a member of Sacred Heart of Jesus Church and had volunteered at St. Vincent de Paul in the past. Surviving are her children, Mary Presley of L’Anse, Norma Jarvey of Bruneau, ID, Kathy (Ted) Hokenson of L’Anse, Robert (Carmen) Jarvey of Colorado Springs, Janet (Jim) Froberg of Pelkie; sister Virginia Londo (Bill) Sonier of Iron Mountain; sister-in-law Donna (Duschaine) Long of Phoenix, AR; grandchildren, Terry Hokenson, Aaron (Jenn) Moilanen, Krista (Tim) McBride, Jessica (Michael) Spain, Robyn Presley, Nicole (Luis) Jarvey-Rojas; great grandchildren, Darashay, Rianna, Timmy, Aidan, Madison, Grayson, Danika, Kaylee, twins Medidith & Stella, and Bethany; a special nephew Don (Audrey) Jarvey; and numerous nieces and nephews. Preceding her in death are her parents; husband Norman “Bud”, son Charles, and brother Richard Long. Visitation will be on Wednesday, November 14th from 9-10:30 a.m. at Jacobson Funeral Home. A funeral mass will be held at 11 a.m. at Sacred Heart of Jesus Church with Fr. Corey Litzner officiated. A luncheon will follow the mass in the church hall. Burial will be in the L’Anse Evergreen Cemetery. The Jacobson Funeral Home is assisting the family.